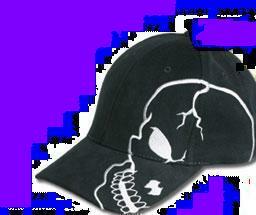 Half a skull face decorates this cap and the bill for a unique look. One size fits all. Adjustable in the back.